I did a search and didn't see a thread for this yet. 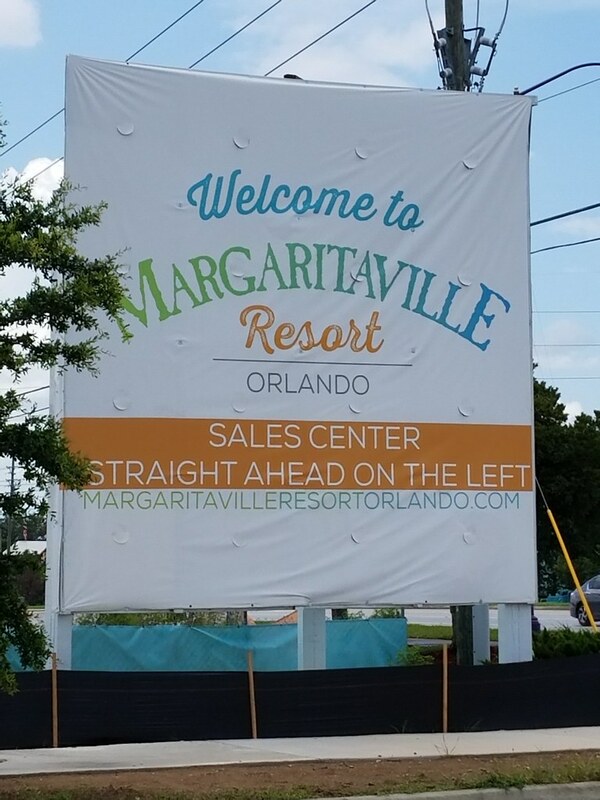 The new Margaritaville Resort Orlando is a $750 million entertainment complex on highway 192 West, south of Disney. 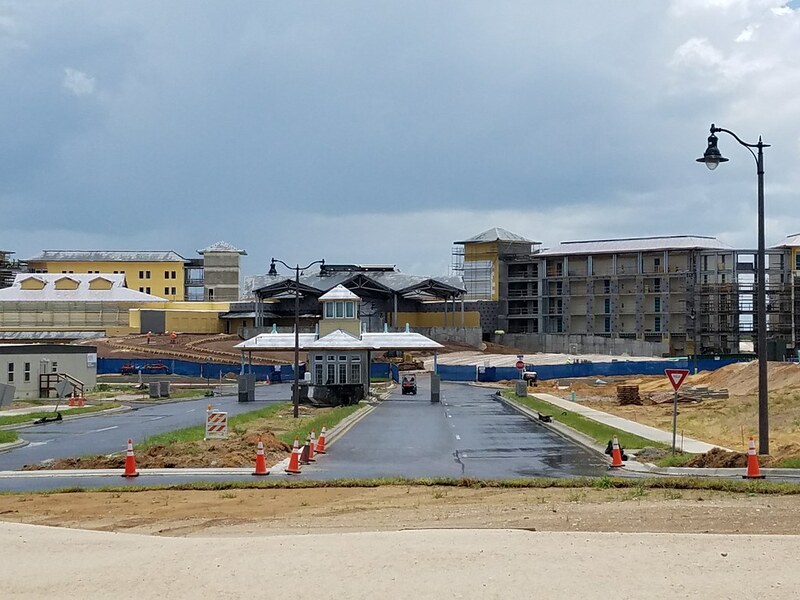 - A 200,000 square foot Sunset Walk shopping and dining area anchored by Rock and Brews, Studio Movie Grill, Ford's Garage, Cafe Rio and Bahama Buck's (Opening November 2018). - A major new water park with a wave pool, over a dozen new slides, kids play structure, action river and activity pool (Opening March 2019). Infrastructure work is underway and all the slides have been purchased and will start arriving soon. - With its center piece the new Margaritaville Resort Hotel (Opening early 2019). Last edited by jedimaster1227 on Tue Apr 16, 2019 12:46 pm. "Sales Center", so, condos or timeshare? pfalcioni wrote: "Sales Center", so, condos or timeshare? They have homes that are for sale along the resorts lake. The resort hotel will be just a standard hotel that you can book rooms for. I notice they are already taking reservations for the hotel on their website. The water park will be a large, stand alone facility. I know it will have drop capsule slides, racing slides, and several large bowl slides. Ah, thanks, that makes more sense. Although I'm wondering if another new stand-alone waterpark in the Orlando area will be a real moneymaker? We've done all the major waterparks around there and the only ones that I would say had decent guest numbers were Typhoon Lagoon and Blizzard Beach, my personal fave is Aquatica and we've had a few visits there when there were more ride attendants than guests - we do visit in Jan/Feb though, so maybe summer numbers are crazy huge? There seem to have been a trend in recent years where the major resorts are investing more and more in "water park" style attractions for their resort pool. The Gaylord Palms has a legit water park with another addition to recently announced, the Omni built a new Wave Pool, there's a vacation home resort south of Orlando with a stand alone water park, and probably a dozen other examples in the Orlando Area. I would think it's more of an incentive to stay at/buy into the resort then to function as a stand alone water park, although I'm sure the additional revenue from day guests doesn't hurt. Being close to Orlando we go down all the time and just do long weekends at resorts so a full water park on site that's included in the stay is right up our alley. I've never checked but I'm not sure if the Gaylord or Omni or other major resorts offer a "day pass" for non-resort guests to use the facilities. I think the water park hotel off of I4 does but I've never checked the others, so pretty cool Margatiaville will offer that. This may go against my main life mission which is to give all of my money to Knoebels and Jimmy Buffett without questioning it, but a shopping mall, a non-points hotel and a Margaritaville that probably won't be in as cool of a location as the one at Universal doesn't do much for me. I'll check it out of course, but I doubt I'll ever stay there. ^Yeah, and I'm guessing it will probably be on the higher end of things pricing wise, but it will be interesting to see how the water park is priced for non-resort guests. I'm guessing not as expensive as the major water parks in Orlando, but probably as close to it as they can get away with. The water park will be a stand alone attraction and is located along 192 away from the resort. This will be a pretty major water park and not just an extension of the resort hotel. pfalcioni wrote: Ah, thanks, that makes more sense. Although I'm wondering if another new stand-alone waterpark in the Orlando area will be a real moneymaker? We've done all the major waterparks around there and the only ones that I would say had decent guest numbers were Typhoon Lagoon and Blizzard Beach, my personal fave is Aquatica and we've had a few visits there when there were more ride attendants than guests - we do visit in Jan/Feb though, so maybe summer numbers are crazy huge? It will be interesting to see how the water park does. I think it has an opportunity to 'fill' the lose of Wet n Wild if they price it right. Yeah, then again I doubt that a higher end "luxury" resort would give people access to their amenities at a "budget" price point.